Mila can't remember anything before the fire that took her father's life. It's normal to have some memory loss after traumatic events, but Mila doesn't remember if she's ever learned to ride a bike, or if she's ever been in love. Nothing. What she doesn't know is that she isn't supposed to remember—that she was built in a computer science lab and programmed to forget. Because if she remembers, she might discover her true identity. 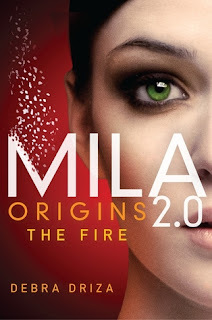 I have been looking forward to MILA 2.0 for months and as soon as Debra Driza released MILA 2.0 Origins The Fire, it was on my iPad right away. I was so excited. I dove right in. I think this prequel was the perfect appetizer for the reader. I was disappointed that it was super short however it gives you some background information that I hope will be useful in MILA 2.0. 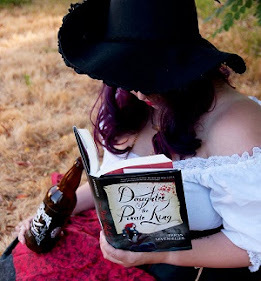 Driza’s writing is fantastic and I am looking forward to more. Mila shows a lot of love and loyalty to her family and I am looking forward to seeing how this develops in MILA 2.0. Mila is very emotional over this traumatic event, I can’t wait to find out how everything affects her. I give "MILA 2.0" Origins The Fire five out of five bookshelves.